Heroes from Houston's restaurant industry step up during Hurricane Harvey. Guest Post by Thomas Nguyen. Hurricane Harvey made landfall in Texas on August 25, 2017, and is likely to be the costliest natural disaster in U.S. history. Harvey dumped more than 50 inches of rainfall in Houston, Texas, causing catastrophic flooding and damage to over 200,000 homes and businesses. With over 12,000 restaurants that include everything from Ethiopian, Pakistani, barbeque, Viet-Cajun, Tex-Mex, to South African, Houston has unofficially become the most diverse city in America. But what makes Houston unique isn't just the diversity of cultures and people, it is seeing everyone come together in times of tragedy, catastrophe and chaos. 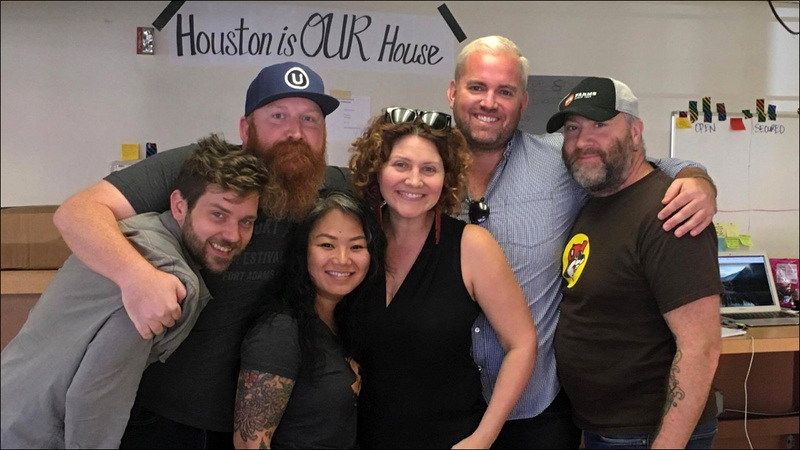 Among the overwhelming number of inspirational and heroic stories during Harvey these past few weeks were chefs, owners and volunteers from Houston's burgeoning restaurant industry. 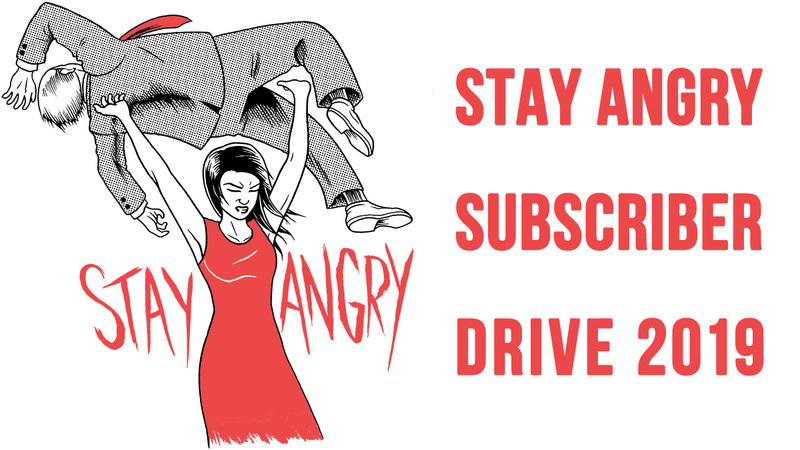 A handful of these stories involving Asian Americans stood out to me. Not because they were more significant than any others, but because they demonstrated traits that went against typical Asian American stereotypes. These individuals were not weak, silent or passive. They were leaders, they were compassionate, and they wholeheartedly contributed to those who needed help. Cat Huynh, a 38-year-old chef and owner of Les Ba'get, a popular Vietnamese restaurant in Houston, was unable to get into his store with all of the roads being flooded or closed. 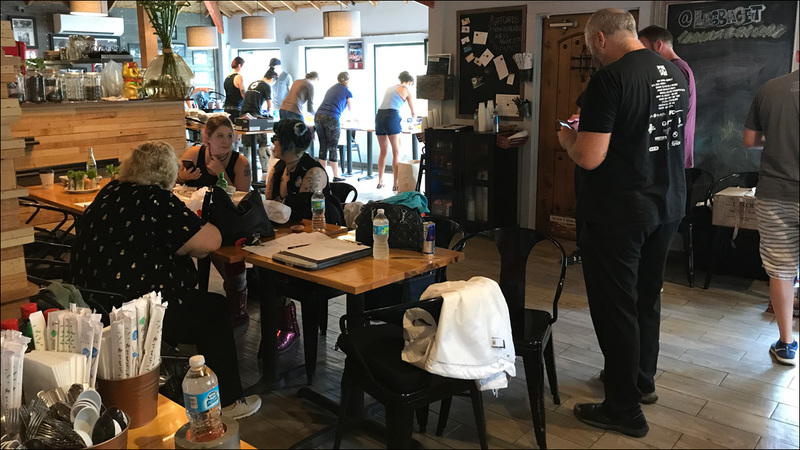 Instead, Huynh opened his restaurant to allow local chefs and service industry volunteers to prepare food for first responders, relief workers and Harvey evacuees. Among the first to begin food preparations was notable Houston chef Richard Knight, whose past restaurants include Feast and Hunky Dory. "I saw that Richard Knight was using his canoe to rescue people during the day, and he posted on his Facebook reaching out to the community to see if there were any restaurants that were safe from the storm that could open up," says Huynh. "I opened up my kitchen and everything to the chefs and volunteers for as long as they needed it. People were losing their homes, so the least I could do was to provide a space for someone to prepare food for the first responders and people in need of a hot meal." 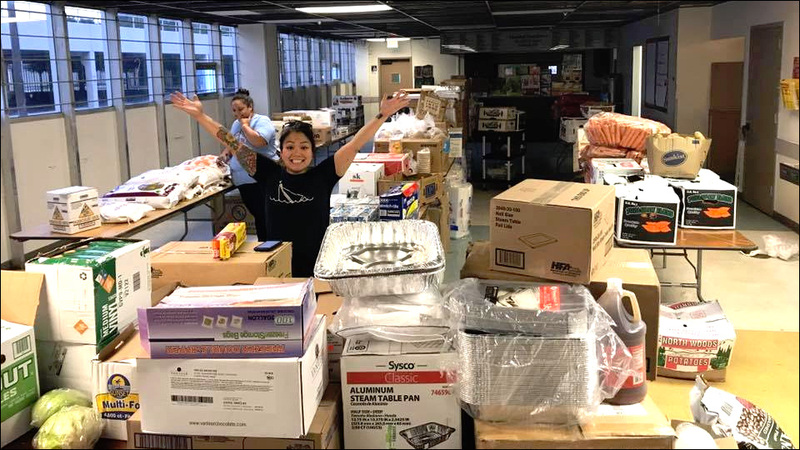 Utilizing Huynh's restaurant, Knight and teams of volunteers were able to produce sandwiches, tacos, and rice plates, then packaged and delivered the food to nearby shelters. Huynh estimates that at least 10,000 meals were provided in two days. "I've learned that in a crisis like this, it only takes one person to make a difference and to do the right thing and inspire others to follow," says Huynh. "The dude [Knight] was in his canoe rescuing people during the day, and it inspired me to do something. Even to this day, our kitchen is still making food for people around the city who need it. The reward is indescribable." On Friday, August 25, most Houstonians were preparing for Hurricane Harvey, but it was difficult at that time to predict exactly how severe and impactful Harvey would turn out to be. Like everyone else, Dory Fung, a pastry arts instructor at Houston Community College, was glued to the local news and weather forecasts. By the following Tuesday morning, it was evident just how devastating Harvey would be. Fung and her longtime friend, Jennifer Do, decided that the best course of action would be to turn off the television and actually do something about it. The friends first visited Do's Starbucks store in downtown Houston, where Do is a store manager. The plan was to pack up all of the food, including breakfast pastries and oatmeal, and bring it to the George R. Brown Convention Center (GRB). The GRB provided shelter for over 10,000 residents displaced by Hurricane Harvey. "We were just two girls determined to help those in need. The entire city was in need. We planned to volunteer at GRB, but we ended up at the HPOU (Houston Police Officer's Union). Police officers help everyone, and we felt that by helping them, we were indirectly helping the entire city," says Fung. "When we arrived at the police station, it was full of officers. Most of them had not been home for days and working 12-plus hours per shift. They were so grateful to see what we brought, so we stayed." According to Fung, the Houston Police Officers Union was utilized as the central location for all the clothing donations and food donations benefiting the officers. It not only fed HPD, but also the officers of Dallas/Fort Worth, Austin, San Antonio, and El Paso. Do and Fung, whose parents own Fung's Kitchen, a Houston dim sum institution, put their food service background to use and took over the HPOU's kitchen. They organized all of the food donations from local restaurants, and labeled and date/time stamped all the food to ensure proper quality and safety. Dubbed the "Wonder Twins" by the officers that they helped, Do and Fung worked 12 to 14 hours a day, for seven straight days, to help organize the HPOU kitchen. "Our motivation was to help those who selflessly help others in need. We spent long hours side-by-side with many officers, and to hear that their own personal homes were flooded but every day they are going out and saving others, is truly amazing," says Fung. 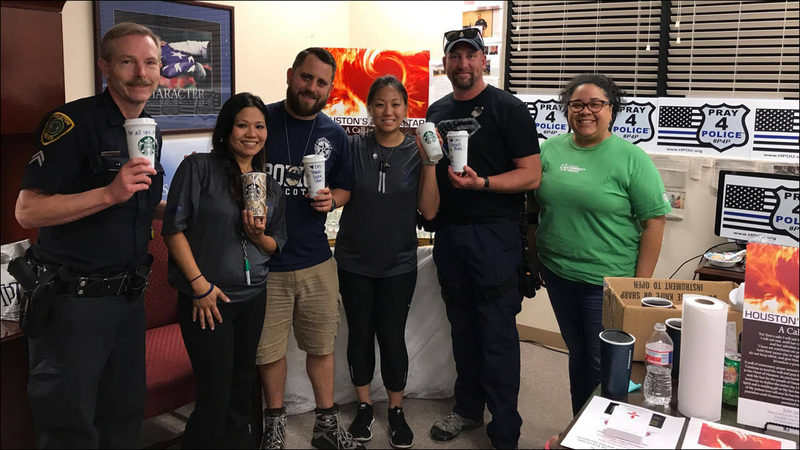 "It was pretty sad to see that these first responders had to go save lives and then come back and serve themselves food. These officers are life savers, not kitchen managers. I feel like with the amount of stress they are already under, the last thing they should have to worry about is food. The least we can do for them was run their kitchen." Cat Nguyen, an experienced sommelier and sales representative for a local wine wholesaler, answered a Facebook post from Houston publicist Dutch Small asking for volunteers to deliver food to the George R. Brown Convention Center. She responded, and would eventually be part of a group of volunteers that would serve over 200,000 meals out of a makeshift kitchen. "There was no plan A. If we had not stood up to do this, the people would not have been fed. 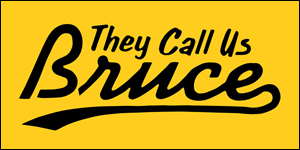 I think the big picture story is how a whole bunch of people within and close to the Houston restaurant industry each individually stood up to take action, began working hard on their own, and organically began to self-organize," says Nguyen. "What I find to be so breathtaking is how everybody just naturally ended up doing what they're best at. We created an ecosystem without any planning that worked and worked well. We saw a need and we did everything we could to help." Nguyen worked with numerous chefs and popped around from kitchen to kitchen until Houston restaurateur, Adam Brackman, provided his space at the Midtown Kitchen Collective (MKC). Located in a former SEARCH Homeless Services building, the MKC provided the perfect collaborative kitchen allowing for mass-quantity food preparation and production. After a website called IhavefoodIneedfood.com was created, which allowed the group to connect people's needs with kitchens that had food, the Midtown Collective Kitchen started producing almost 15,000 meals a day. "We went everywhere. We served shelters large and small. We served first responders. We took care of volunteers. We went to hospitals, apartment complexes, and set up kitchens to serve their own networks," says Nguyen. "We ran convoys of supplies and food to Beaumont and surrounding areas." Nguyen also assisted in creating a communal grocery store that would provide resources for any commercial kitchen in the area so that they could continue to cook for those in need. Even though Nguyen was not able to get to her apartment and had been staying with friends, the thought of not helping out never crossed her mind. "I have been displaced but it's nothing compared to what some of my friends have had to go through," states Nguyen. "We are still active, and I think the most inspiring thing about all this is how everyone we worked with all came together. We all wanted to help, and we were able to help each other do better." 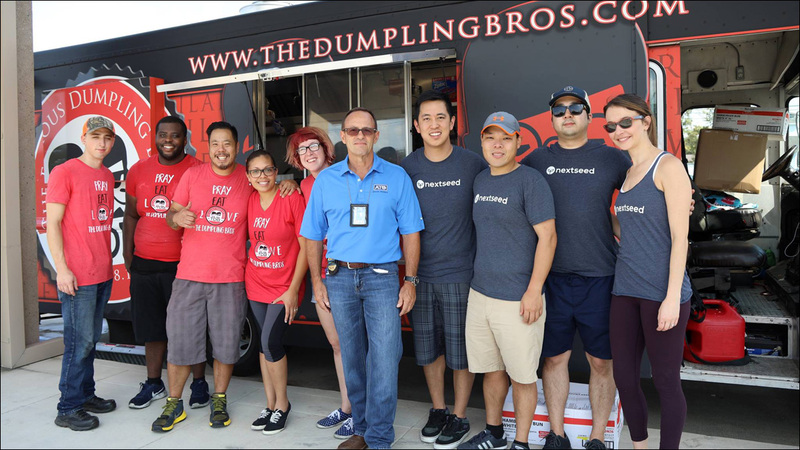 John and Cassie Kang, owners of The Dumpling Bros., a food truck specializing in Korean-inspired street food, traveled over 263 miles from their hometown of Denton, Texas, to Houston to assist with the relief efforts. They would stay in Houston for two days, serving close to 2000 meals. "We drove our food truck and a refrigerated trailer to Houston to serve the volunteers and first responders. We were very blessed to have our business, and we just completed building our second truck," says Kang. "We are always looking for ways to serve others and when we saw the devastation in the Houston area we knew we wanted to do something." Kang remembers being moved to action after reading a Facebook post from the Louisiana Cajun Navy, a group of volunteers from Louisiana who travel with boats and kayaks to provide assistance with disaster search and rescue. "Many of you are asking for ways to help during this disaster," the Facebook page stated. "Please remember that your local emergency departments are carrying a heavy load and working extremely long hours in their efforts to get everyone to safety. I know they would appreciate a hot meal, a kind word, and many prayers. Spread your kindness everywhere please." "That was kind of like our bat signal if you will," Kang recalls. "Hot meals? We are a mobile kitchen! We have to go and feed these people." "Houston saved Houston. We, and many others, may have refueled the Houstonians to keep them going. We may have helped reinforce or multiply their efforts. However, one thing was very clear, Houston led the way in rescue and relief efforts, we just followed their lead."